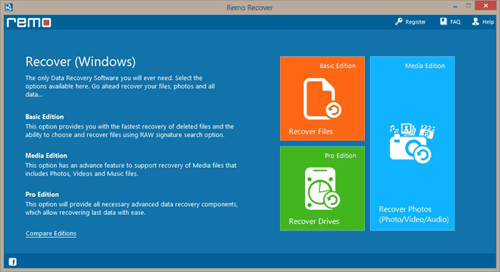 How to Recover Deleted Photos from Recycle Bin in Windows 7? Step 1: Install and launch the demo version of Undelete Recycle Bin software on your Windows 7 computer. 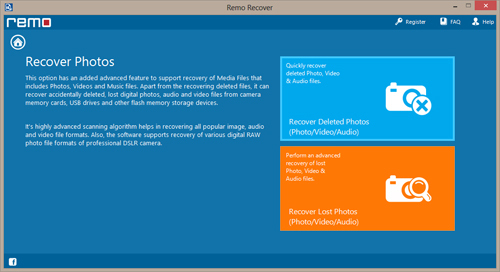 Then, select “Recover Photos” option among three displayed options from the main screen as shown in Fig 1. Step 2: Now, choose “Recover Deleted Photos” option from the next page as shown in Fig 2. Step 3: After selecting the recovery option, you need to choose the drive from which deleted photos needs to be recovered. 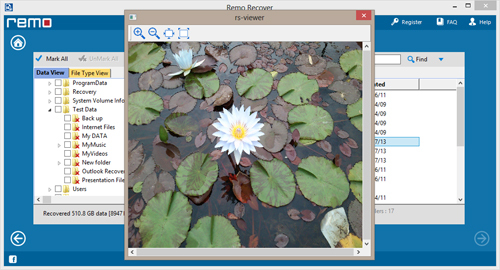 Once, the scanning and recovery process gets completed, a list of recovered images will displayed which you can view using “Preview” option as shown in Fig 3.